Maddie's Fund® has awarded $1.1 M over the next three years to support the development of a comprehensive shelter medicine program at Purdue University's School of Veterinary Medicine. Maddie's Shelter Medicine Program will focus on three areas: research, shelter medicine education, and training future leaders in the field. "With an emphasis on research and graduate training, Purdue is adding its own unique strength to the field of shelter medicine," said Maddie's Fund Veterinary Director, Laurie Peek, DVM. "Maddie's Fund is proud to support this program which will add a wealth of new knowledge to the field and educate the leaders who will impact shelter medicine for many years to come." 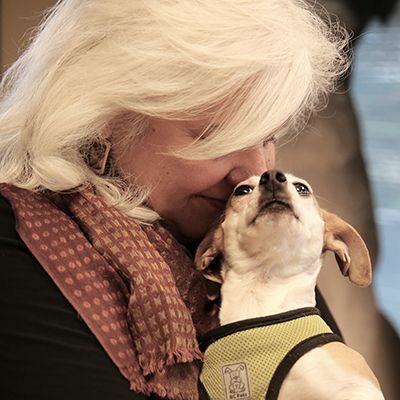 Maddie's Shelter Medicine Program will work with two collaborating shelters in major metropolitan areas: the adoption guarantee PAWS Chicago and the Humane Society of Indianapolis. "The students and clinicians we educate at the Purdue University School of Veterinary Medicine should understand the importance of pet homelessness," said Annette Litster of the School of Veterinary Medicine's Veterinary Clinical Sciences department, "and graduate from here with a commitment to make a difference." Purdue's School of Veterinary Medicine, which opened in 1959, is the only veterinary school in Indiana and one of only 28 in the country. In addition to the doctor of veterinary medicine degree, the school offers associate's and bachelor's degrees in veterinary technology, post-graduate internships and residencies for doctors of veterinary medicine seeking specialty training, and graduate degrees in the departments of basic medical sciences, comparative pathobiology and veterinary clinical sciences. Home to the Veterinary Teaching Hospital and the Indiana Animal Disease Diagnostic Laboratory, the school serves as a major referral center for the diagnosis and treatment of diseases of all species of companion and food animals, as well as exotic pets and wildlife.